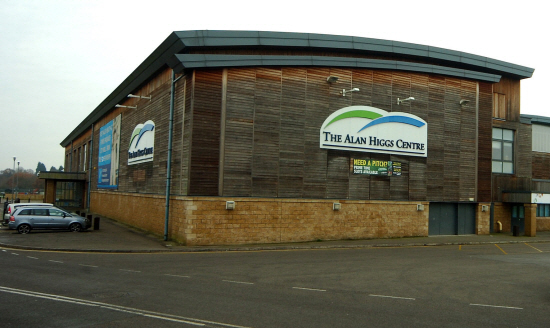 Could Coventry get a new 50 metre swimming pool at the Alan Higgs Centre? A DEAL which could see a new multi-million pound 50 metre swimming pool built in Coventry has been agreed by council bosses. Following the transferal of ownership of the Alan Higgs Centre from the Alan Higgs Centre Trust to the Coventry and Warwickshire Award Trust (CWAT), Council leader Ann Lucas has revealed the Council is in talks to build a new Olympic sized pool in the city. Follow months of secret discussions between the council, Coventry Sports Foundation, Sport England and the Amateur Swimming Association, the proposed eight lane, 50 metre pool with 500 permanent seats at the Alan Higgs Centre on Allard Way could be open to the public as early as 2018. Expressing her delight for the plans, Coun Lucas said: “The Council recognises the very important role the Centre has played for sport since opening in 2004 and we welcome the news that the Centre will now continue to serve the local community and sport in Coventry under the new management of CAWAT. “I’m thrilled that we have a potentially workable and sustainable way forward that could mean Coventry will continue to have a 50 metre pool. The move follows council’s closure of the Grade II listed sports centre and 50 metre pool on Fairfax Street in September 2014 – arguing it could not continue subsidising the pool with £2,000-a-day of Coventry taxpayers’ money. Coun Lucas added: “It was really hard not to share with residents these conversations and the progress we were making on this, but we had to be sure that the outline figures stacked up and offered an option that could be explored in more detail. “There’s much more work still to do now, and wider investment will still need to be secured to achieve the ambition of retaining a 50 metre pool. The initiative could see the council providing some of the capital investment required to build the new swimming pool, alongside potential grant funding from a number of external bodies. But Councillor Allan Andrews, deputy leader of the Coventry Conservative and ward councillor for Earlsdon, said he is concerned about the way Council bosses have engaged in secret talks about the proposed swimming pool. He said: “The new swimming 50 metre pool is potentially very good news for Coventry, and for our successful swimming club. “But how this has come about though is troubling. “The council has managed this in an extremely poor way and it has not been at all transparent. “The first the vast majority of councillors knew about this new development was when it appeared in the media and that is not acceptable. The council and Coventry Sports Foundation will now look to develop detailed designs for the site and work up business plans for the potential new facilities, in consultation with the Amateur Swimming Association, City of Coventry Swimming Club, Sport England and external funders. The confirmation of these plans comes ahead of designs for the new city centre water park, which his hoped to be completed in 2019.